At Utopia, they are setting out to transform the entire music industry. To create new revenue streams, consolidate the data and declutter the admin; unlocking the industry’s full potential by unifying it all in one truly holistic space. Utopia was founded in 2016 with the goal of creating a better world of music. With an ever-growing team of 60+ people across Sweden, Switzerland, and Spain – all focused on one common goal; providing a trusted, fast and fair environment for all. Welcome to Utopia – Where music lives. Mattias Hjelmstedt is CEO and Founder of Utopia Music. As a serial entrepreneur, Mattias has successfully founded and sold a number of technology companies since the early 1990s. An unparalleled innovator, Mattias’s passion for combining media and tech has pushed him to help transform and build several industries including e-sports and digital TV. Within e-sports, Mattias was one of the pioneers, designing the first social platforms for games and assisting in the creation of the software still used today to power some of the world’s largest games, including Battlefield. Unhappy with the state of the Video-on-Demand (VOD) services, Mattias was an early architect of VOD for premium film and p2p distribution. With this knowledge, Mattias was then able to successfully navigate TV’s challenging copyright landscape and help turn online TV into a global reality. 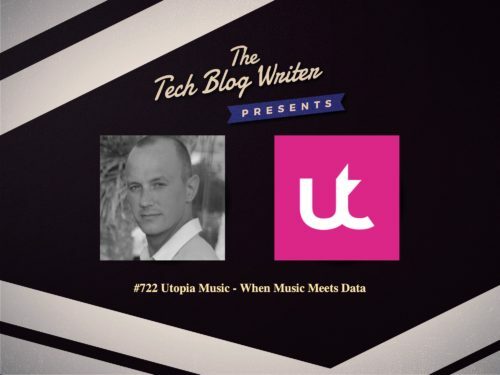 I invited Mattias onto my daily tech podcast to learn more about his startup stories and the future for Utopia Music. Mattias shares his vision of how amazing things can happen when technology is leveraged in the right way. Thanks to tech, they can monitor music being played all over the world. They already track over +100,000 radio stations in real time, every day. And that’s just the beginning. Their mission is to create a fast, fair and transparent environment that all music players benefit from.